On 11th November 2013 Chinese customers set a new record for an annual 24-hour online sale in honour of Singles’ Day. An event which has been a smash hit since it was appropriated by eCommerce giant, Alibaba in 2009. Kathryn Cave discusses what this phenomenon means in a country where the working age population is fast dwindling, there aren’t enough people for everyone to find a partner… and spending could be the only way out. In China the view of single people over the age of 27 appears to be negative across the board. Leta Hong-Fincher, an American doing a sociology PhD at Tsinghua University in Beijing, told the BBC in an article titled Leftover Women, Unmarried at 27: "Ever since 2007, the state media have aggressively disseminated this term [leftover women] in surveys, and news reports, and columns, and cartoons and pictures, basically stigmatising educated women over the age of 27 or 30 who are still single." For men, towns labelled ‘bachelor villages’ have begun to spring up across rural China. These are populated by males who are unable to find a wife in their local area and who do not have the skills or economic potential to travel to find one. Tea Leaf Nation presents a bleak future for these individuals, quoting one 36-year old migrant worker who says: "I get very lonely. No one cares about me, and I have no one to speak to when I go home. I sometimes get so drunk that I vomit. When that happens, there's no one to clean up after me." The numbers of these single men is extremely high with figures of between 10% and 15% of the total population depending on where you look. And things are set to get worse. Many estimate that within the next decade single men are going to hit 30 to 40 million — equivalent to the population of Canada. This shortage has resulted in some pretty odd measures. Last year, for example, three Beijing bachelors paid for a giant marriage advert to be posted onto a billboard in China’s version of Silicon Valley. This came in at a cost of 50,000 RMB (8,150 USD) per month, although Gao Weilun, the 30-year old CEO of a local company stressed in the text that he did not want a gold-digger. With this sort of attitude in place across the board, it only took until lunchtime for Chinese shoppers to create a new record for eCommerce sales in one day. “By 1:04pm on Monday, sales on Alibaba, the nation’s largest eCommerce group, reached Rmb19.1bn ($3.1bn) – equivalent to all it had sold on last year’s Singles’ Day and about double what was sold last year on the US Cyber Monday following Thanksgiving,” reported the Financial Times. Interventionist communist party policies may have had a marked impact on the transition of China over the last three decades. But now that economic growth is slowing, most analysts believe that there is a desperate need for many reforms that have been delayed. These include “unleashing market forces, promoting innovation and reducing the role of the state,” all of which should in turn stimulate purchasing by Chinese consumers and help rein in free-spending local governments. 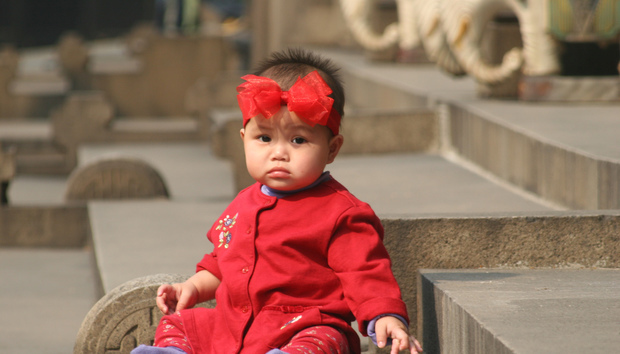 China has curbed its population for 30 years. In this time it has prevented an estimated 400 million births which has resulted in a rapidly aging population and a slew of young people unable to find a partner and have kids of their own. It does look like China may have reached a crossroads. Now while it may struggle to prop up its economy with workers… at least this younger generation can spend. Read an interview with Alibaba European Head, James Hardy here. Discover more about marketing in China here.